The caterpillars live in probably the herb and litter layer and the rock vegetation. Idaea contiguaria inhabits mountainous areas between 500 and 2200m above sea level and is often found in open, rocks rich areas or open forest (larch, etc.). The moths fly in usually a single, rarely two generations focusing from mid-June to early August. 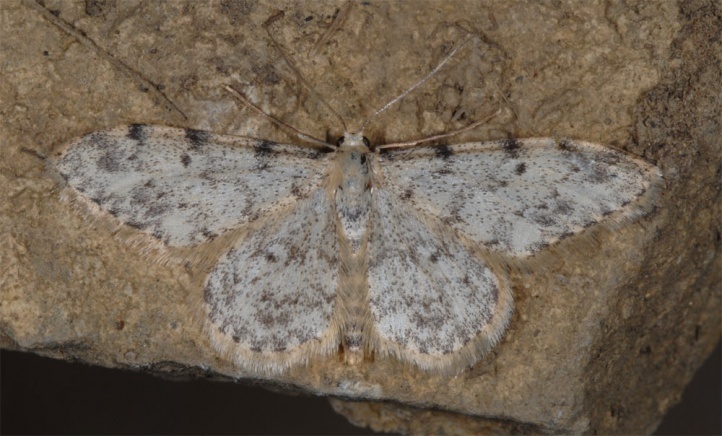 Idaea contiguaria occurs only very locally from Morocco across the Iberian Peninsula and Central Europe to eastern and Southeastern Europe. It is most common in the Pyrenees and Alps. In Germany it is found among others in the Black Forest and the Bavarian Forest.